Sign Up for a Payoneer Account. You will Get a Free Master Card with Free $25, an US Bank Account and a Verified Paypal Account. So Create a Payoneer Account Now! Payoneer is a worldwide company gives free Master Card with affiliation. If you want a free master card then Payoneer is a good solution. Also Payoneer gives free US payment service through US virtual bank account for receive payment easy way. You can receive payment from world wide company Odesk, infolinks, Google, Paypal etc. So get a free US bank account and a Master card. Note: You will get FREE 25 USD when you load 100 USD on your card. 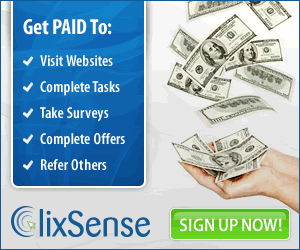 Get payment from Odesk, fivrr, Moneybookers, Google, Paypal etc. Click the link to get started your Sign up for a Payoneer account with $25 USD. All three steps are described below in details. Follow it for your registration. Note: To get free $25 USD, please load $100 USD on your Master Card. Click the green Button “start Here” to start you application. You will see form given below and give all information asked. After given all personal information, Click Step II. Now fill up Step II with your password, select a security question and on the box give an answer of that question. On step III you will see Personal Details and Account Information given successfully and it is shown with a tick mark (✔). Now select any of your Photo ID information box and give your Photo ID information correctly. Payoneer will ask you to upload a scan copy of your photo ID. So provide information as it is. Then Tick mark (✔) all boxes to agree and click finish button to complete your application. You Payoneer account application has been completed. It will take several business days to approve your account. You will receive a mail and they will ask you to upload a scan copy of your Photo ID. Send your photo ID scan copy and you will get a confirmation email from Payoneer about account approval. US Virtual Bank option will be on your account when your account is approved. After account approval, your Master Card will be shipped and it will take 4 to 6 weeks to receive it. After receiving your card, sign in to your account and active it with card number and give a 4 digit pin to your card. Remember that you have to follow all instructions given here to get $25 USD free. Now you are own a US Virtual Bank Account and Master Card. Load, receive your payment and enjoy! REMEMBER: TO GET FREE $25 USD, YOU HAVE TO LOAD $100 USD FIRST TIME. If you are looking for a good contextual advertising network, I recommend you take a look at Chitika.